A few months ago DSK announced partnership with well-known Italian motorcycling legend – Benelli. Since the moment I have witnessed TNT 600 GT, its overall design has kept me intriguing. I was waiting to conquer the saddle of this horse. Before this lets brief the history Benelli and TNT600 GT. Once a pioneer in manufacturing shotguns, Benelli commenced operations in the year 1911, making them the oldest Italian motorcycle company. The firm’s colorful journey began as the ‘Benelli Garage’ in 1911, where 6 Benelli brothers Giuseppe, Giovanni, Francesco, Filippo, Domenico and Antonio (also known as Tonino) worked together passionately repairing and manufacturing motorcycles. Currently owned by a Chinese group named the Qianjiang group. TNT600GT was globally launched in 2013 and is manufactured in China. We reviewed both TNT600GT and TNT600i on the same day. Always considered to be more of a tourer and less of a track friendly person, my colleague didn’t let me touch TNT600i for hours and without expressing my happiness I quietly sat on TNT600GT. Years and years Indian motorcycle enthusiasts are searching that one motorcycle which can be titled total all rounder. Which may sound impossible for obvious reasons. As you alight this motorcycle, you notice how its very nicely textured wide seat, upright handlebar and huge tank give you a feeling of comfort. Everything just feels right. 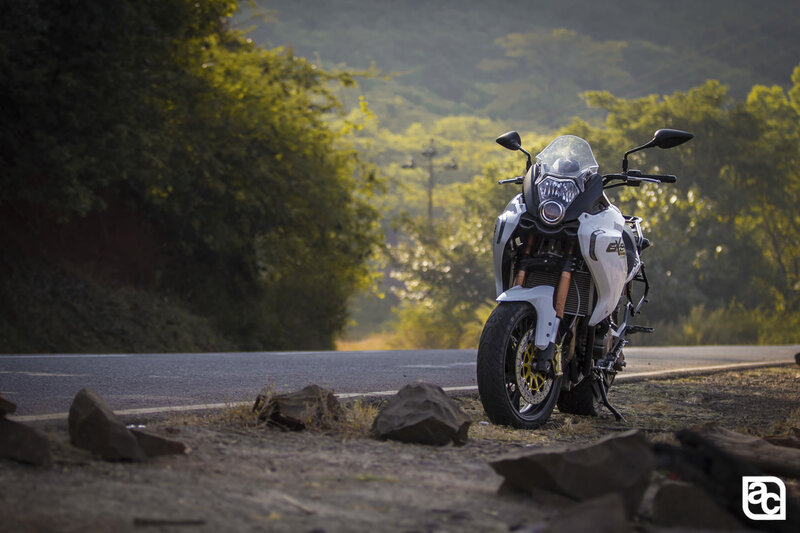 Developed on 600i street fighter, it’s commendable how GT distinguishes itself from 600i. Though the instruments and switchgear feels outdated, the premium feel is still alive. 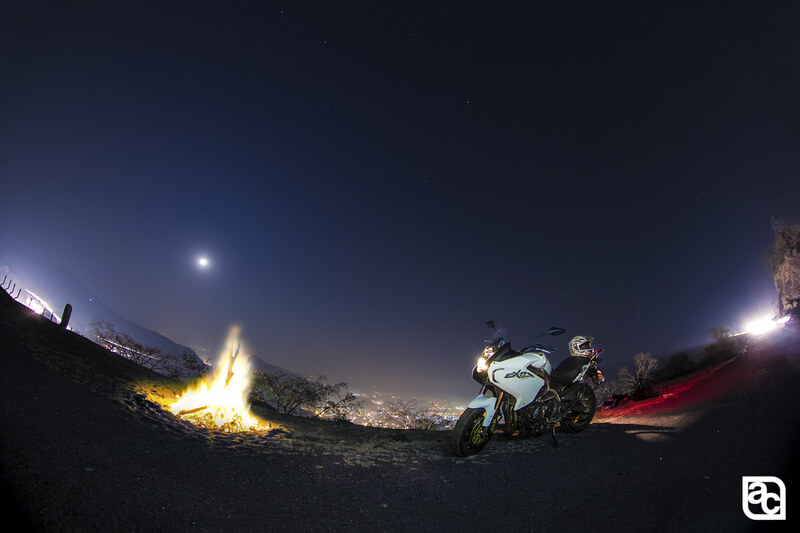 TNT600GT carries a silhouette of an adventure Tourer. 600GT is a full-faired motorcycle with dual projector headlamp setup. 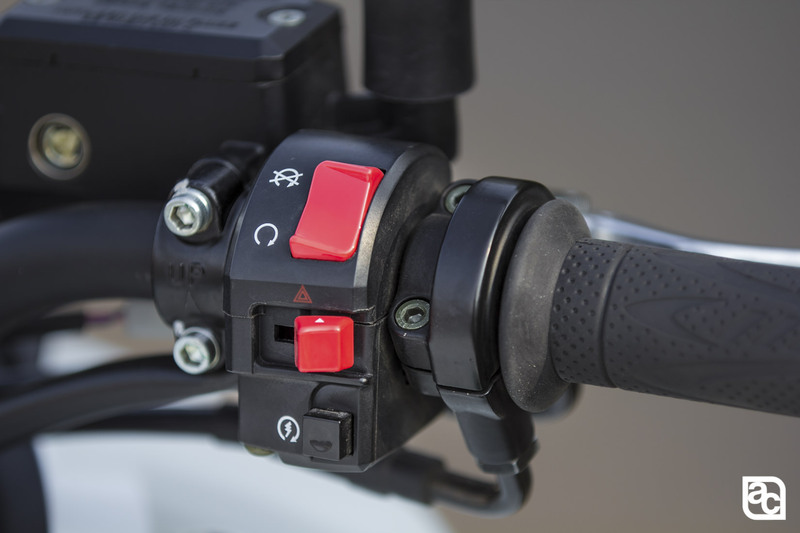 LED blinkers are neatly incorporated in front fairing, taillight and blinkers form an eye-pleasing unit. The hybrid steel-aluminum frame, classic tubular steel trellis at the front and the fusion of aluminum are same as that of TNT600i. It is indeed a well designed italian beauty. Its not that tall as it looks so no worries about its taller seat position; my colleague was 5.5 and he had lots of fun with a comfortable riding position. 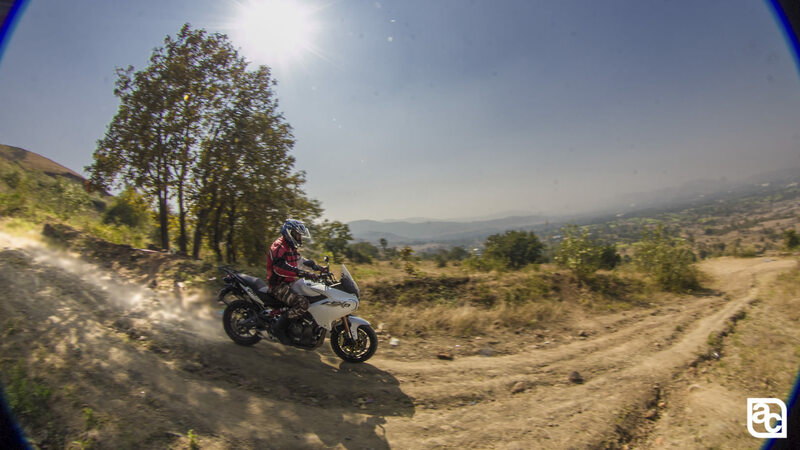 As we started heading towards Lavasa for a test ride, my eyes were searching for rough terrain so I can play around with GT. Riding it on tough terrain felt ok, to be honest, it was not fun at as GT felt heavy. 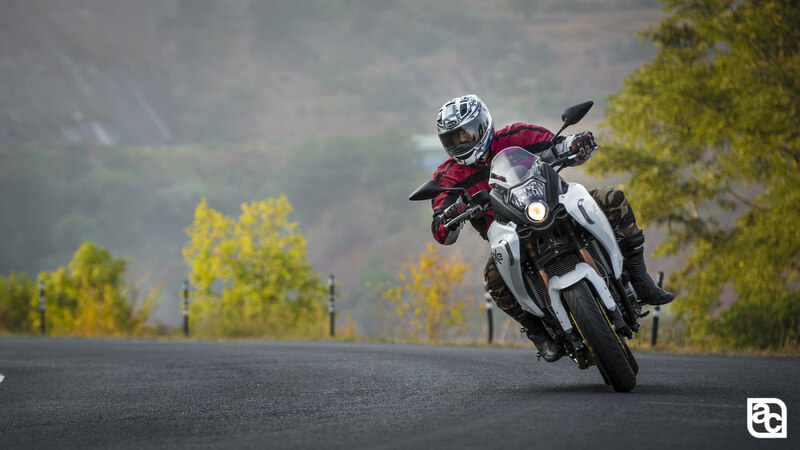 Pirelli Sport Demon tires offer great grip on corners, but they just don’t give you confidence to push it hard on tough terrain, blame the weight. It gets difficult to maneuver GT through corners, the biggest drawback is lack of ABS, yes you read it right no ABS, so forget about traction control. With a curb weight of 223 kg, the behavior of this motorcycle at panic situations is questionable. Because the momentum you will get with 223 kg at high speeds one really needs a good stopping power to control Newton’s Laws of motion. ABS as an option would have been a fantastic offerings on this bike. 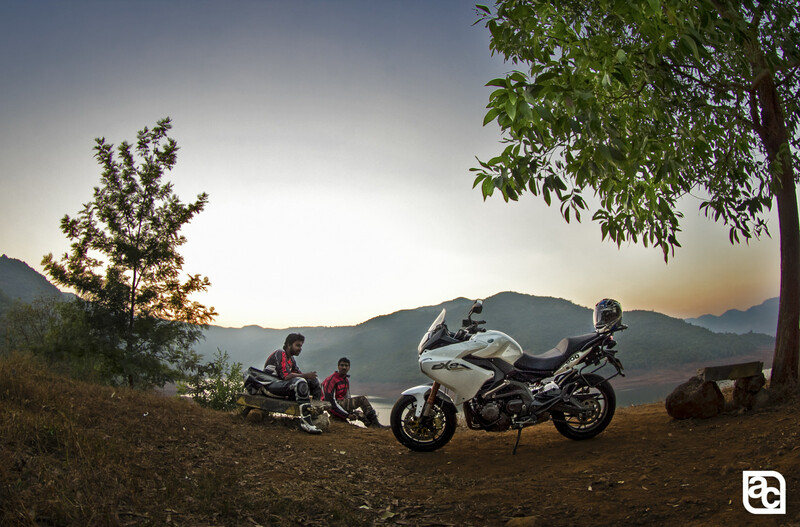 The big plus point goes to TNT 600 GT is its fuel tank capacity of 27 liters. The bike gives fuel economy of around 20kmpl and in one full tank this tourer can take you at least 500kms with great comfort. 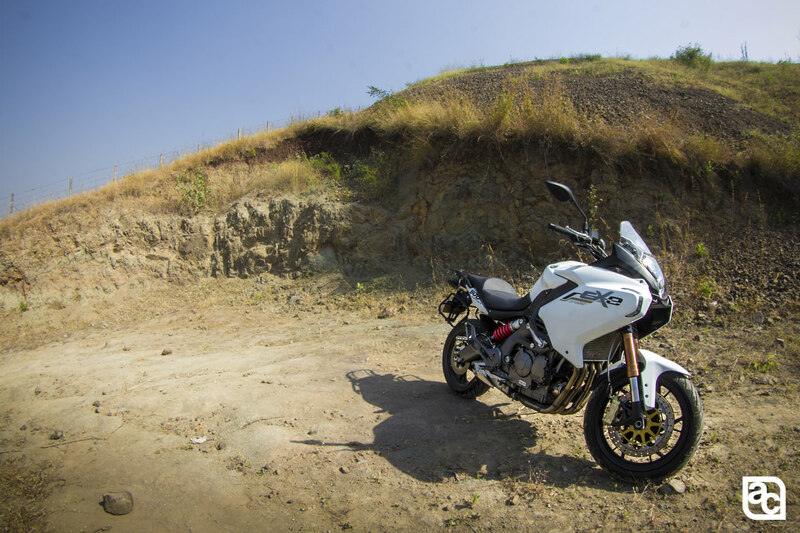 The suspension setup consists of Benelli 50mm upside down forks and a 123mm Benelli monoshock at the rear. Braking comes from twin 320mm discs with radial mounted 4 piston calipers at the front and a single 260mm disc with double piston caliper at the rear. The motorcycle is powered by in-line 4-cylinder 600cc motor which churns out 80.84 HP @ 11,000 RPM. 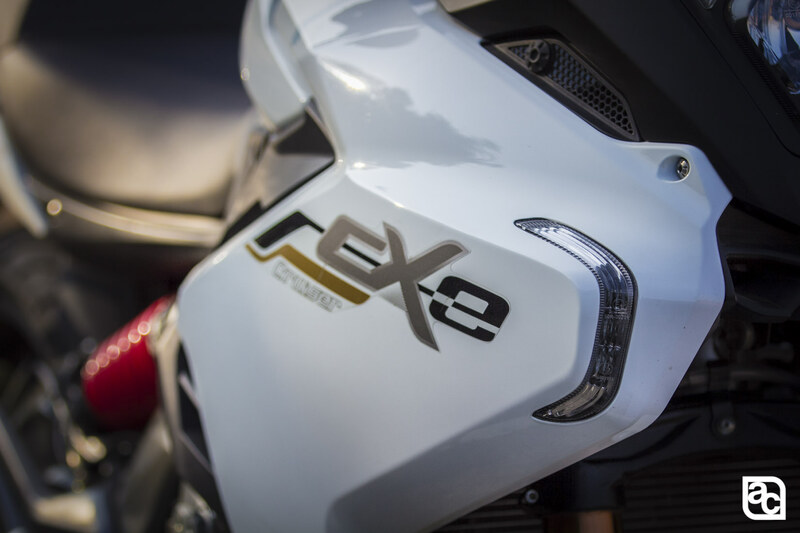 The engine is derived from early 2004 Yamaha R6, still don’t underestimate its Tourer tag! this vehicle is very much capable to give you an adrenaline rush. The gearbox is very precisely designed and you can easily run on top gear from as low as 30-40km/hr and hit a top speed of 210 kmph. GT has a smooth yet noticeable exhaust note. The bike tends to feel underpowered at lower RPM. 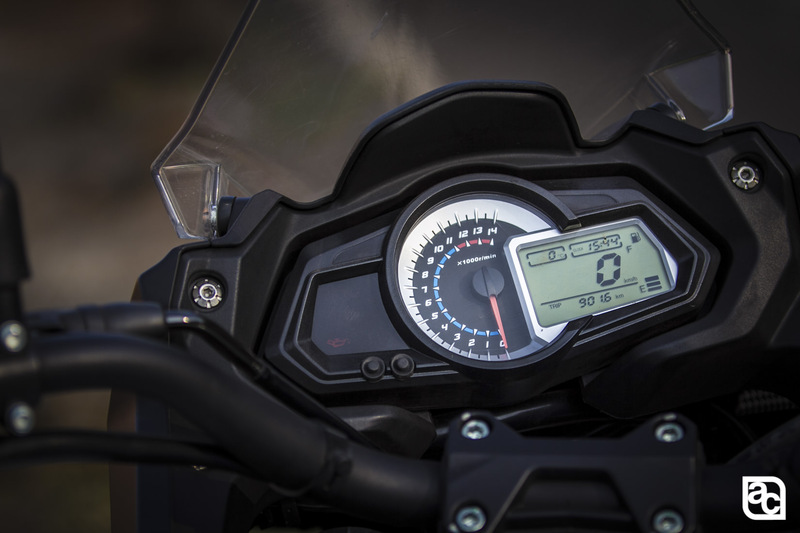 The real fun starts when you cross 6000 RPM as the powerband hits smoothly for a Tourer style and ends at redline of 11000rpm. 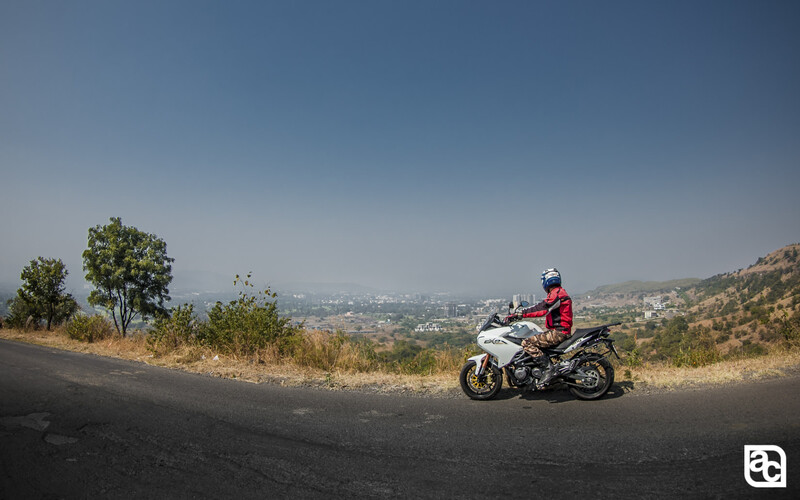 After Lavasa we headed to Lonavala which is approx 108 km from Lavasa and trust me when I say, its one of the most comfortable rides on any touring motorcycle I ever had. Roomy riding position and well padded seats make you forget how many hours you have been riding. I wished Lonavala to go more 400-500 km away from Lavasa. A taller windscreen provides excellent wind, with no sense of buffeting. Being four-cylinder there was no over heating, heat dissipation is superb, even after riding it whole day in scorching heat. 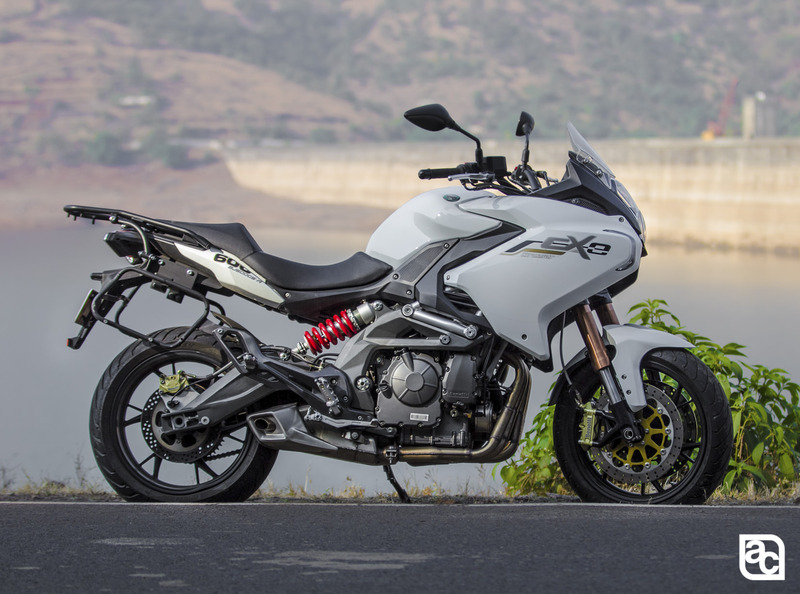 Benelli TNT600 GT might not have that pure inline 4 cylinder punch, but it is capable of taking you from one destination to another with quick acceleration and a good touring speed of 3 digits. 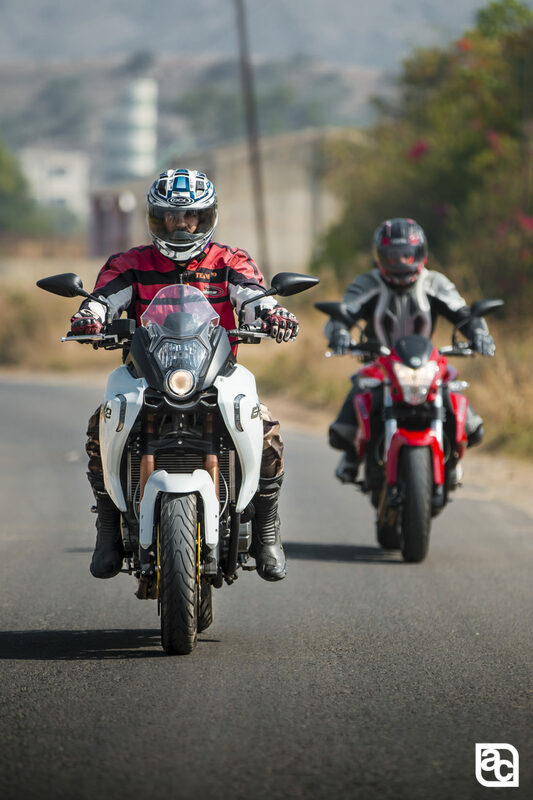 The 600GT is one of the most practical offerings for Indian touring as bike incorporates comfortable riding positing for highways, a big fuel tank and good touring capability to explore new places on a bike. What’s good: Comfort, Linear power. Whats not good: No ABS, NO traction controll, hard clutch. 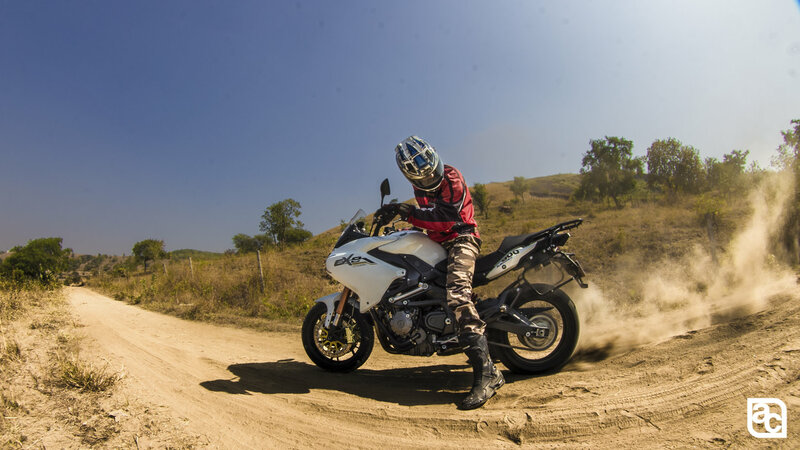 Verdict: Benelli TNT600GT is best for Indian roads its a city commuter as well as a proper tourer. If you like touring and love covering miles and miles this is a perfect update for you. If you see the worldwide price for Benelli 600 series, no way they can price it more than 5L. This bike if priced closer if not lower than Ninja 650 can be real killer. At a price point north of 7L (as indicated by many reviewers) one has much better brands as a choice. Finally this engine is NOT R6 derived as mentioned. they may take some cues from R6 but it is not a R6 derived engine. You can check some Italian review for the same. Its very simple engine design without a counter-shaft. This engine should offer very good reliability. Also it is designed with re-boring in mind so that one do not have to change the cylinder at the time of engine reconditioning.